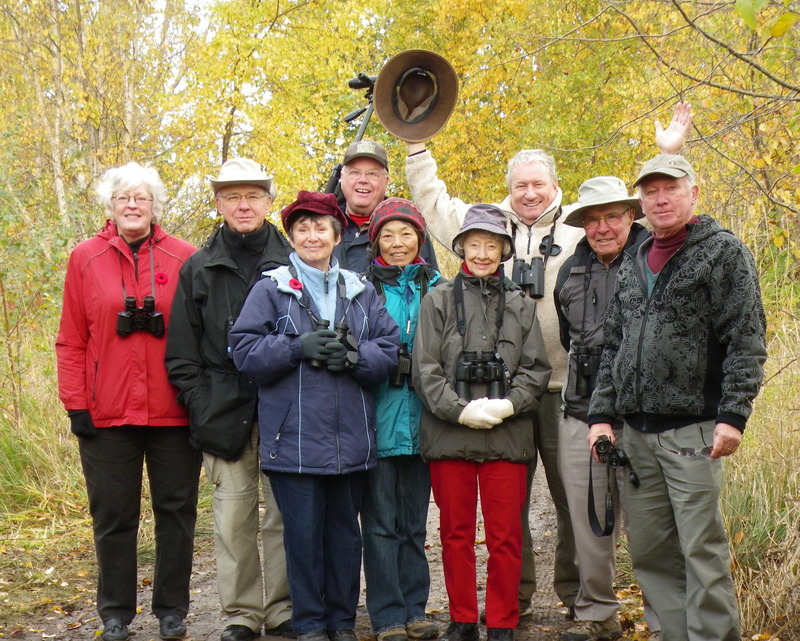 An enthusiastic group consisting of Eleanor, Lorna, John, Peggy, Kay, Roger, Mike, Hans and Tom, met at Petra’s for a sunny day of birding. Because of time constraints (Tom having to leave for Trinidad later in the day) we decided to focus on Reifel Island. As usual, we got our wires crossed regarding the route but managed to meet at the Canoe Pass viewpoint. The sensible group, before the wayward group arrived, had a face-to-face view of a Red-tailed Hawk on a wire in front of the view parking lot which started our count. 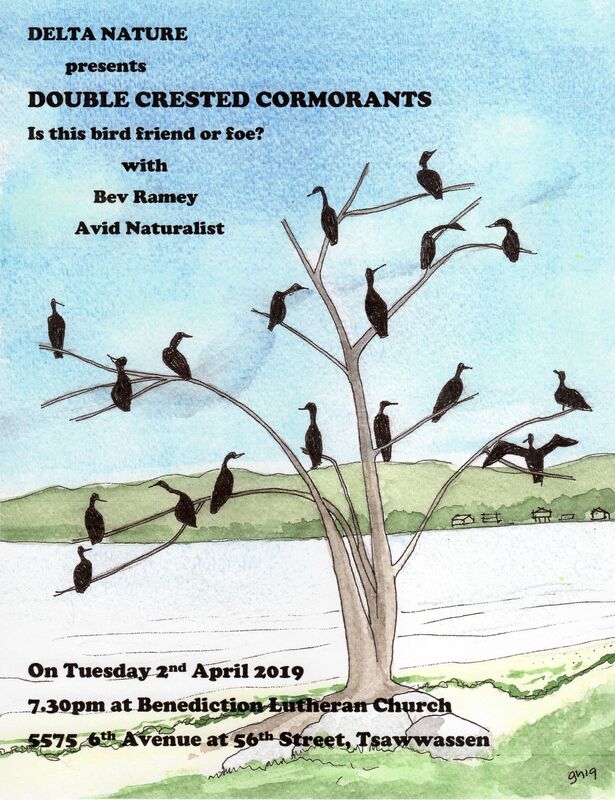 Also, looking over the river, we sighted a Double-crested Cormorant, a few more Red-tails on dead trees, a number of Eurasian Collared Doves and a distant flock of shorebirds… probably Black-bellied Plover. The ever-alert Lorna sighted a beautiful owl-like stump on the opposite bank (sorry no photos available). Crossing the Canoe Pass Bridge a number of Wigeon, Mallards, and Green-winged Teal were seen in the weeds along the river bank. The farm fields had a number of Snow Geese, a male Northern Harrier eating some unidentifiable bit of food, and an exciting view of the first swans of the year (or so we thought). Hey, from a distance they looked real! 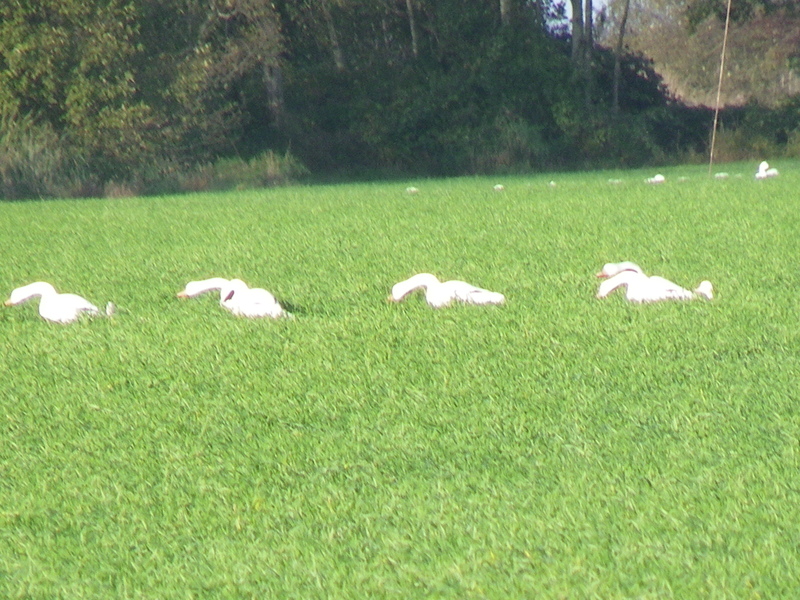 A closer view of the “swans” showed them to be decoys and then we saw the hunters hiding in a nearby ditch… they fooled the birders but not the geese! A number of Bald Eagles were seen in the air and gathering in small groups in the fields. A quick side-trip to Alaksen yielded fresh pellets but no Barred Owls. Large numbers of Canada Geese were in the fields and waterways. At the visitor’s office we were told that the Snow Geese have adapted to eating the barley, a shift from the usual root diet. Incredible numbers of the geese were flying aimlessly about with constant honking the whole time we were on the island. Working our way into Reifel we searched the evergreens along the roadway looking for owls without luck. The Sandhill Crane family was present beside the gift shop with one of the parents attacking any duck that came close. Peggy was quite excited with her sighting of the wooden Canada Goose in the gift shop pond. 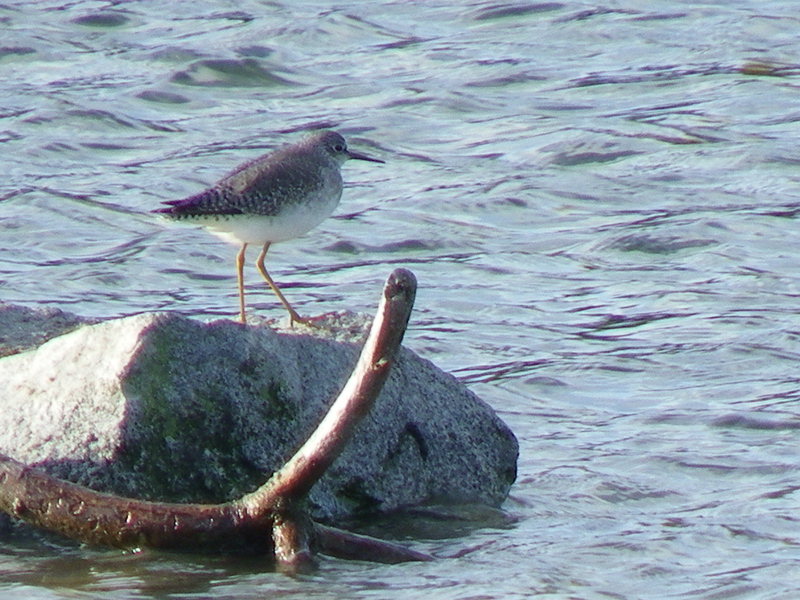 Also, in the pond, was a single Lesser Yellowlegs shorebird. The regular suspects… Black-crowned Night Herons, Mallards, Wigeon, some American Coots, etc. were around the entrance path. We were restricted by the closure of the paths around the northwest corner where we usually see owls as some drainage work was in progress. Lots of Black-capped Chickadees, and Wood Ducks, along the trail but the most exciting bird was the Ring-necked Pheasant Mike sighted running along the edge. 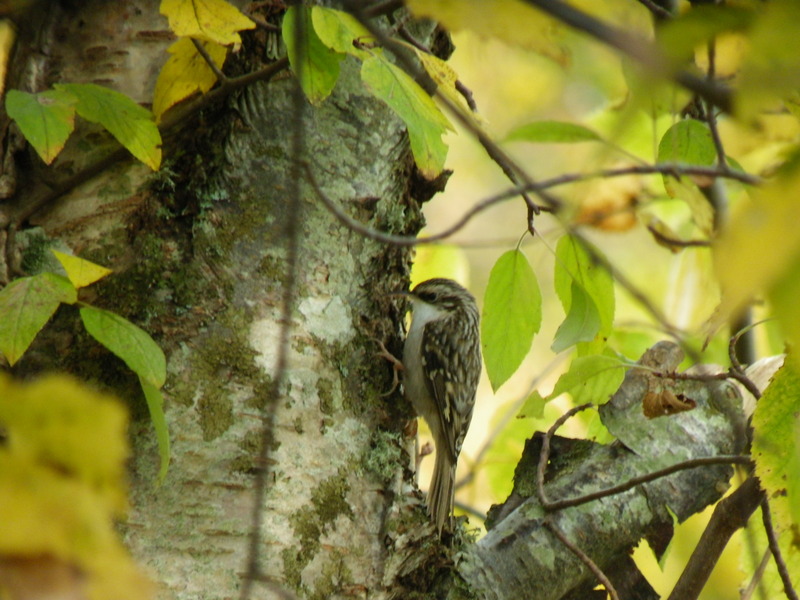 Ruby-crowned Kinglet, Golden-crowned Kinglet, House Finches, Song Sparrows, Golden-crowned Sparrows and some juvenile Cedar Waxwings. Tom was able to coerce a photographer, Kelvin, to take our group photo. Kelvin’s reward was to be allowed a photograph of himself to be taken with the group… what more could he have wanted? A trip up the tower exposed us to a bitter cold wind and a view of the Snow Geese on the foreshore. 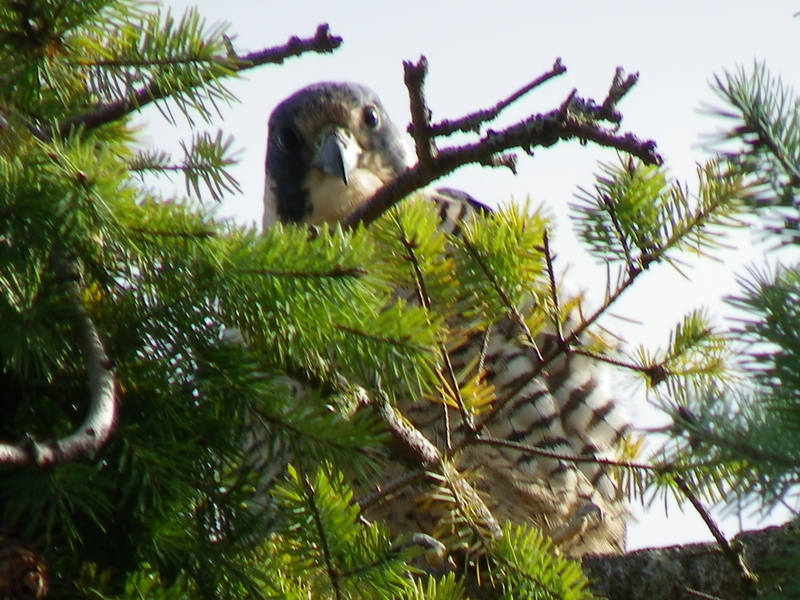 Because of the wind we decided to walk the inner trail which turned out to be fortunate as we were afforded better views of the Peregrine still perched in the same tree as before. While we were photographing it he flew off where he met another (probably the same pair we had seen interacting a few weeks ago) where they took swipes at each other. From the viewing platform at the southeast end we saw Northern Pintail, Greater Scaup, etc. 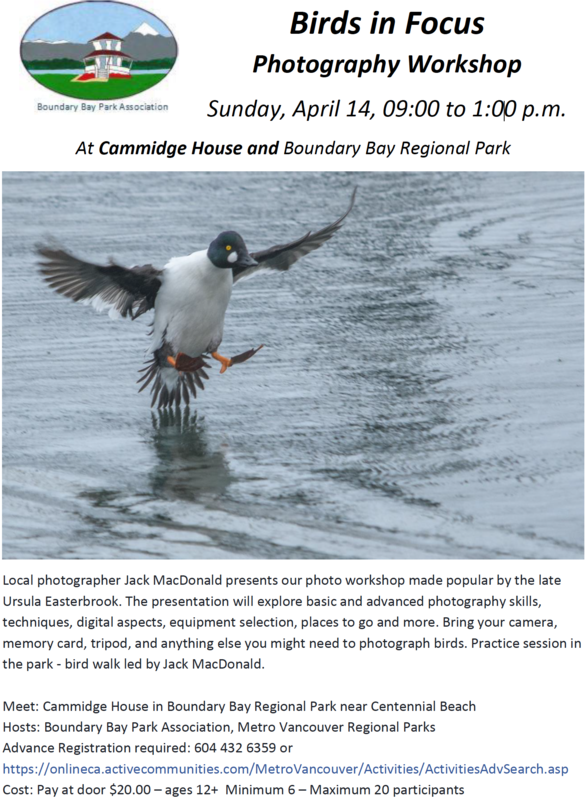 Tom took a side trail back into the ponds an called us all down to see the first Bufflehead of the year, a Pied-billed Grebe and a Ring-necked Duck. As time was running out, we left for Petra’s with little seen on the way back. Mike and Roger took a side trip to Beach Grove looking for the Great Horned Owls usually seen through the winter in the tree beside the tennis courts… no luck. After a slow start, the day picked up and we all enjoyed the outing despite the wind and cold. Tom will be away next week but we will meet a Petra’s at the usual 7:30 time for a departure at 8:00am to a location to be decided, probably local. Come with your ideas! 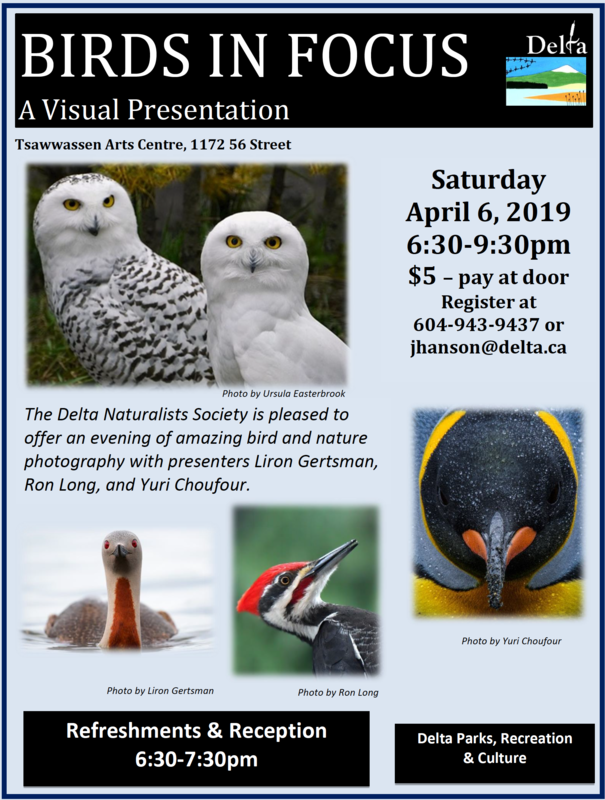 This entry was posted in *DNCB, Bald Eagle, Black-bellied Plover, Black-crowned Night-Heron, Brown Creeper, Peregrine Falcon, Pied-billed Grebe, Red-tailed Hawk, Reifel, Ring-necked Duck, Ring-necked Pheasant, Westham Island. Bookmark the permalink.